Governors of Colorado and Alberta, Canada: Tell Sister State, Gangwon-do, South Korea, That We’re Opposed to Torture and Consumption of Dogs and Cats! Gangwon-do Province of South Korea became a sister province with Colorado in 1991 and the Canadian province of Alberta in 1974. This, despite the fact that Gangwon-do, South Korea is responsible for a horrendous dog and cat meat trade. In South Korea, home to global companies such as Hyundai, Kia, Samsung, LG, Daewoo, SK, and POSCO, an estimated 2.5 million dogs are tortured and slaughtered every year because of the greed of dog eaters and the dog meat industry, and the profound indifference of the majority of South Koreans who do nothing to stop this. One of the provinces that supports the illegal mass breeding and brutal slaughter of dogs for human consumption is Gangwon-do. Have you ever wondered what Hell is like? 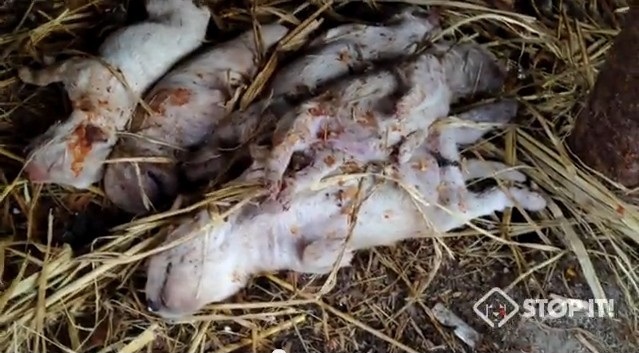 Click HERE to watch undercover videos from dog farms and slaughterhouses in Gangwon-do. There are no words to describe the daily horror of these “Hell On Earth.” And there are so many dog farms and slaughterhouses like these all around Gangwon-do. Countless dog farms and slaughterhouses are scattered throughout Gangwon-do and they truly are hell on earth for the defenseless dogs suffering there. Man’s best friend exists for their entire lives in squalid, feces encrusted raised wire cages in utter misery only to be slaughtered in the most horrific of ways – by electrocution, a hammer blow to the neck, being hung or beaten, bleeding to death from a slashed throat, being burned to death from a blowtorch, or thrown into a vat of boiling water while still alive. Pyeongchang, Jeongseon, Sokcho, Goseong, Yanggu, Hwacheon, Cheolwon, Hongcheon; and on goes the list of cities in Gangwon-do where these terrible atrocities are perpetrated. Click HERE to send an online message to Lieutenant Governor Joe Garcia! No matter where you live PLEASE SHARE these actions with your friends – especially those who live in Alberta! 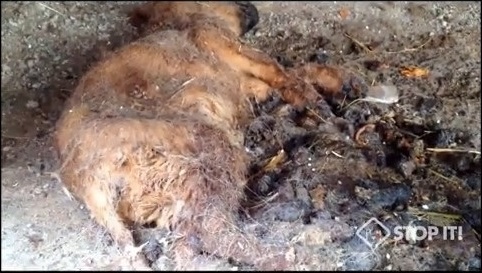 Dead puppies in Gangwon-do Dog Meat Farm/Slaughterhouse. https://youtu.be/cRvdlbX6FWI Video: Stop It Korea! Impossible to imagine this crual practice on dogs and cats .. now I know .. and I can accept evil’s acts like that ! I can’t accept evil’s acts like that on dogs and cats .. before I didn’t know .. today I know .. and I hope end of this crual practice ! Koreans are one of the most inhumane races on earth … their vile obsession with cruelty towards dogs is disgusting. I’m baffled … why on earth do the people of Alberta want to be associated with Koreans? Est ce possible autant de cruauté! This is horrific cruelty and it must be stopped now!!! Only savage beasts could be capable of this type of cruelty and those evil people should be slaughtered in their own slaughterhouse!!! Evil monsters!! I will boycott all products from South Korea! I wonder how nothing can’t be done and cruelty lasts and lasts!!!???!!! Are we really human beings?? ?